From Russia With News is hosted by Jonathan Brown]1 and produced by Pjotr Sauer. The episode was recorded and edited at CM Records Studios in central Moscow. Stay tuned for a new episode every Thursday on our site or here. Also available on iTunes, Google Podcasts, Spotify and other audio platforms. Kirill Serebrennikov, one of Russia’s most acclaimed artistic figures has been released from house arrest on Tuesday. 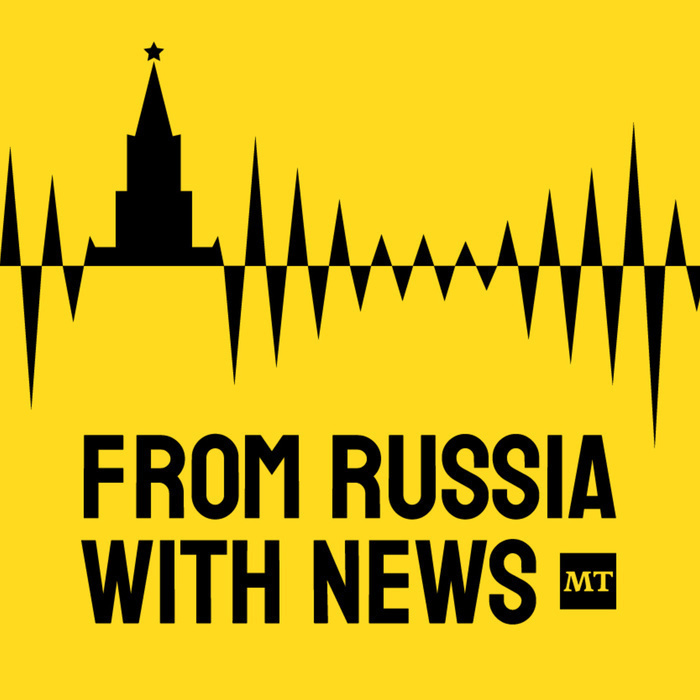 This week on From Russia With News we speak to Oliver Carroll, the Moscow correspondent for the Independent about the controversial case and what to expect next. Libya is again on the brink of civil war. A Russian-linked warlord, who controls swaths of the oil-rich country has announced a campaign to take the country's capital, Tripoli. We speak with Max Suchkov, Editor at Al-Monitor about Russia's role in the Libyan conflict. This week on From Russia With News, we discuss the growing demonstrations in Russia's smallest republic Ingushetia, where locals have been up in arms over a land swap that is carving out even more of their territory. We speak with Liza Fokht, a journalist working for the BBC’s Russian service, who has been covering the fallout from Moscow and Ingushetia. What happens when an alleged Russian assassin, arrested in Ukraine after barely trying to conceal a murder, starts talking? We speak to Michael Swirtz of the New York Times whose story about Oleg Smorodinov offers a closer look at how Russia’s foes abroad end up dead. This week on From Russia With News, we discuss the dramatic arrest of former Russian minister Mikhail Abyzov who is suspected of embezzling 4 billion rubles ($62 million). We’ll speak with Nikolai Petrov, a political science professor at the Higher School of Economics about the implications of the arrest. We'll also talk to journalist Marc Bennetts about the trial of Gaylen Grandstaff, an American who has already spent two years in a Russian pre-detention cell on dubious drug smuggling charges. This week on From Russia With News, we discuss the five year anniversary of the hugely controversial referendum in Crimea with Elena Chernenko, the deputy foreign editor at the Kommersant newspaper. We'll also talk to Moscow Times correspondent Evan Gershkovich about his investigation that revealed how rich Russians dodge taxes and move court cases to a southern Russian region where their lawsuits are heard by friendly judges. This week on From Russia With News, we speak with New York Times journalist Andrew Kramer about the sentencing of two Russian cyber-security experts this week, handed decades behind bars for treason. We'll also talk to veteran journalist Artemy Troitsky about the life and legacy of Igor Malashenko, the media executive and political consultant found dead in Spain on Monday. This week on From Russia With News, Financial Times Bureau Chief Henry Foy joins us in the studio to talk about the arrest of Michael Calvey, the U.S. founder of Baring Vostok, Russia’s biggest independent private equity firm. We'll also talk with Coda journalist Simon Ostrovsky to discuss the new Duma law that bans Russian soldiers from taking selfies or sharing information online. In 2015, Ostrovsky tracked Russian soldiers in Ukraine using data pulled from their social media accounts in a now-famous documentary for Vice News. This week on From Russia With News, investigative journalist and security services expert Andrei Soldatov tells us why Russia is moving closer to give the authorities the power to unplug the country's internet from the outside world. And Greenpeace Energy Head Vladimir Chuprov has the latest on the polar bear invasion in Russia's Far North that has captivated the world. We'll also hear from distinguished journalist Julia Ioffe on the state of U.S-Russia relations and her personal experiences covering both countries. The Taliban gets Moscow’s VIP treatment. And why some new economic stats are raising eyebrows. This week on From Russia With News, Middle East expert Alexei Khlebnikov tells us why Russia hosted their former foes, the Taliban, in Moscow this week. And Bloomberg columnist Leonid Bershidsky talks about why Rosstat’s new economic prognosis looks too good to be true. We’ll also hear from religious affairs commentator Roman Lunkin about what’s next for religious minorities in Russia after a Danish Jehovah’s Witness was handed a six-year sentence for extremism.